Piqua City Schools strives for an educational experience for students in which technology is an imbedded tool for knowledge acquisition and communication. Staff members will efficiently and effectively use the technological resources at their disposal to enhance instruction, assessment, and communication both within the district and with the district’s critical stakeholders. Piqua City Schools accepts the responsibility to ensure that all students are capable of using current technology and adapting to future technology in order to become informed, ethical, and responsible citizens. Internet Access: The district offers Internet access for staff and student research that is filtered in compliance with CIPA limiting access to inappropriate material. File Services: The district supplies staff and students individual accounts on their respective building file server, providing secure storage and file sharing. Google Apps for Education: The district uses Google's free cloud-based suite for all staff and students. The suite includes email, calendar, cloud-based file storage, word processing, spreadsheet, presentation. Google Classroom: Staff and students use Classroom as a learning and communications portal. This service is free to schools. Library Catalog: Students and staff can search for and reserve district books with the online Library Catalog. Students are also encouraged to make use of the Piqua Public Library. Information Resources: The district and Ohio's INFOhio services offer a number of quality information services appropriate for elementary, middle school, and high school students and staff. Web Page: The Technology Department manages and maintains the district website as well as the district facebook page to communicate with students, staff and community. Gradebook: K-12 teachers use an electronic grade book program to take attendance, track progress, and generate Interim Reports and Grade Cards. ParentAccess: Parents and students in grades K-12 can check their grades and attendance online. Parents and students will see updated grades as teachers enter assignments, test, and project scores into the system. Instant Connect: A parent notification system which can call and/or email parents with emergency information and general announcements within minutes. 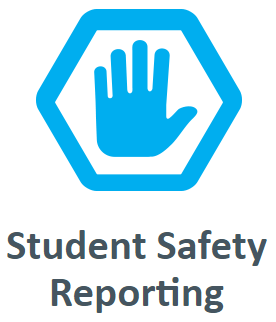 HelpDesk: Staff use the PSW HelpDesk to report technical issues and to make requests. Instructions (How To's) for staff on using our VOIP phone system. Options for staff to purchase Microsoft software at a reduced price. 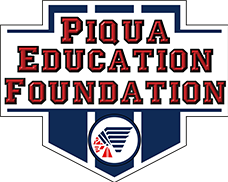 PIQUA CITY SCHOOL DISTRICT is registered and eligible for member discounts for their student and employees.